That's the word from today's Wall Street Journal after a dismal aftermath to the New York fashion shows this week and the outlook for London's fashion week next. Luxury goods are not "recession-proof" as the sudden 15 percent fall this year demonstrates. Bye-bye, over-rated bridge collections sold at the uninspiring likes of Scoop and Intermix if this trend continues (and every financial forecaster seems to say just that). That's how I read between the lines of this article. Indeed, the writers finish up their piece with a discussion beyond clothing but how "austerity chic" will affect other luxury goods, like alcohol. A new study published in Clinical Nutrition found that those who drank beer and red wine had improved vascular function than those who consumed white wine, whisky and even water. 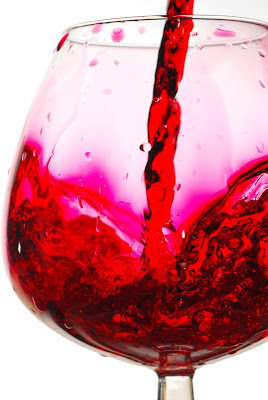 While the powerhouse phytochemical, resveratrol, found in the skin of red grapes has been getting a lot of press lately, the fact that beer matched the effect of red wine suggests that it is not resveratrol, but another compound in both beverages, that is the cause. And I submit that no alcoholic beverage defines a "lapse of luxury" better than a six-pack of beer.